This is more than just a great facility that’s home to great teams. This is a place where creativity and innovation reign, a chance to develop cutting edge technology and to find new ways to use that technology to impact peoples’ lives, both in our community and around the world. Positioned in Kendall Square—the heart of Cambridge’s “Innovation Sector”—we’re surrounded by academics, tech leaders, researchers, builders, and thinkers who are poised to discover new and empowering ways to use technology. We’re thrilled to be a part of this community and work hand-in-hand with them to build what’s next. Here you’ll find a diverse array of curious innovators and champions of technology. Description: By bringing business intelligence to productivity and collaboration, the NERD Office team is changing the way work gets done. Our job is to make document collaboration simple and seamless for users of the billion endpoints on which Office is installed. Microsoft Research New England focuses on interdisciplinary work, integrating the more mathematical and algorithmic sciences with both the social sciences and aspects of the biomedical sciences. Our primary goal is to advance the state of the art in interdisciplinary research, and our research also enhances Microsoft products and services both through direct transfer of technology and through impact on Microsoft strategy. Technology is getting smarter. It’s learning from data. But it’s not doing it by itself. Someone has to teach it. Someone like the Cloud Machine Learning team. They’re taking Big Data, Machine Learning and High ­Performance Numerical Computing and training them to work together, making them scale up and out, which helps take the guesswork out of artificial intelligence and predictive analytics. Intune is Microsoft’s cloud-based Unified Endpoint Management service, helping organizations enable their workforce to be productive while keeping corporate data protected. Intune manages the mobile devices and apps used to access company data, protecting company information by controlling how it’s accessed and shared. The teams vision is to make AI real for our customers & partners on Azure. We drive deep engagements with Strategic customers to drive AI workloads into production & enable the most complex scenarios. This deep interaction also leads to Feedback for our AI platform & creation of best practices. AI CAT also represents MS at AI Conferences around the world where we contribute with white papers, blogs and posters. Commercial Stores provides checkout and email UX and related services to all commercial products across Microsoft, including Office 365, Azure and Intune. We build security analysis and detection systems for Microsoft’s Office 365 Enterprise Cloud Product. The Skype consumer team focuses on building calling and camera experiences for customers across 8 different platforms. Developing fundamental, next generation Conversational AI technology. Developing novel models for dialogue, NLP, and new approaches for automatically generating limitless AI Assistant system capacity. Our mission is to revolutionize computer interfaces by creating the first viable, scalable, conversational computing paradigm. The Visual Studio and Mobile Developer Tools engineering and PM teams develop the open source Mono project, as well as Visual Studio for Mac and tools for cross-platform mobile development with C# and Xamarin. Technology Center, where our customers’ tech people work alongside our tech people imagining, designing, and creating so that our clients get the exact technology they need, because they helped create it. The Technology & Corporate Responsibility Team works with local and national partners in cities in the U.S. to strengthen metropolitan communities and regions and contribute to local opportunities and economic growth. At Microsoft, we see how cities and counties are working at the intersection of people, programs, policy, and technology in ways that are creative, solution-oriented and highly impactful. Our team focuses on helping apply Microsoft resources, expertise, and networks to advance the effectiveness and awareness of these local initiatives and priorities. Pioneering global technology takes more than computer know-how, you need people behind the scenes making sure all the i’s are dotted and t’s crossed. Those people are our Legal & Corporate Affairs team, who ensure we fulfill all the legal and corporate responsibilities required to grow our business and build our enduring legacy. This is the team that keeps everything around here running smoothly. They handle employee programs, manage the conference center, coordinate community affairs, and search for awesome, new talent to bring on board. They’re the ones who make Microsoft New England a fun, cool place to work. Which helps us bring you fun, cool technology. Microsoft’s mission is to empower every person and every organization on the planet to achieve more. To do this successfully, we must celebrate the diversity of our world through the products we build and the people who build them. 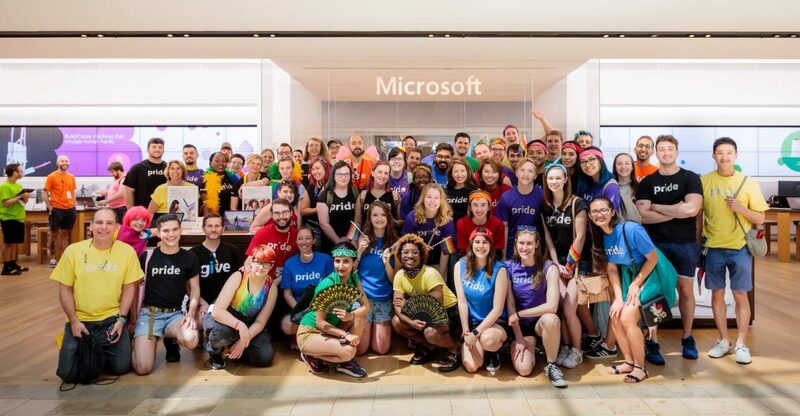 At Microsoft New England R&D, we invest in programs that work to level the playing field for those too long left behind by the technology industry. We build strong engagements with New England’s vibrant network of colleges & universities, which develop students of all backgrounds, identities, and abilities. We sponsor Employee Resource Groups which bring visibility to underrepresented communities and train our employees into allies. Together, our efforts represent an ever-expanding mission to bring diversity & inclusion to the forefront of technology.